KOL programs- Also known as peer-to-peer selling, it is simply effective to have Drs. speak about and on behalf of your products to other Drs. Trade shows- These huge events are must attend for a medical device company that wants to get in front of its customers. Slick literature- The best device companies always have attention grabbing, attractive and effective literature about their products. Impressive studies- What ground breaking medical device is complete without volumes of great medical literature to back it up? Vast sales armies- Having a huge, highly trained and successful sales force is a great way for marketers to spread their messages. Medical device reps are typically great at what they do. These are all great medical device marketing tactics. The problem? These are traditional, or "crop dusting" methods of marketing. Sure, they have worked in the past, and probably have worked well for you. The problem is that they are expensive. Unnecessarily so. The good news is that there has been a revolution going on. Or maybe an evolution. The widespread adoption of the internet as the first place people, Drs. included, go to research something before a purchase has totally changed the game. As marketers we have probably known this for a while now, but maybe have been unsure about how to define this trend. Inbound marketing is all about making sure your company is found online when and where your potential customers are looking. The absolute best medical device marketing strategy to take control of how your company, product or service is viewed and found online is to create and maintain an active business blog. According to Hubspot's Ultimate List of Maeketing Statistics for 2018, 42% of companies have hired a designated content strategist executive. Why? Because content is an important part of the buyer's journey. Great content can help inform your prospective buyer's and helps your organization gain recogognition and trust. In fact, according to the Demand Gen Report, 2016, 96% of B2B buyers want content with more input from industry thought leaders. So it's not just important to have content, it's important to have content with substance. A website is the one medical device marketing channel that a business has complete control over. There is no depending on printers to get your order to you on time, no hoping that your spot on the trade show floor has good visibility. Marketers control exactly what goes up on a website and the frequency of updates. A business blog is the most effective way to make regular, topical updates to your website. A blog can be used to share product news, post instructional videos, share press releases, highlight product features, promote events, almost any piece of news or content can and should be posted to a company blog. What's best, a blog can serve as the informational "face" of a company, the first place customers will go for news about the company and its products. Every good medical device marketing plan includes search engine optimization (SEO). Getting found on Google, and the other search engines, is a basic tenet of internet marketing. Well, an active and frequently updated business blog is the best way to ensure this. Search engines are designed to think that a web site with a large number of web pages is authoritative. Every time a new blog article is posted a new web page is created, adding to an ever expanding website that gains more and more authority on a given topic. 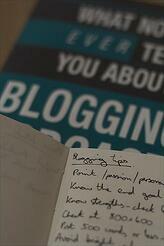 What's more, each blog article can be optimized for specific keywords. If your medical device is approved for several indications you can easily build up a bank of educational articles tailored and optimized for each one. Then when a surgeon Googles that procedure/indication blog articles about your device will be easily found. Who's Doing This Right? Wrong? There is one company out there that is actually doing this exactly right and exactly wrong. What!? It's true. Medtronic is a giant, hugely successful medical device company that manufactures and markets ground breaking medical devices for several therapeutic areas. The company is so huge, apparently, that it doesn't have a central medical device marketing strategy across all divisions. Everyone knows that Infuse Bone Graft, the ground breaking bone morphogenic protein that actually stimulates the body to regenerate bone tissue, has been the focus of several large and controversial lawsuits. Medtronic seems to have failed to get out in front of this controversy by controlling the conversation. A blog would have greatly aided the company in this. At the time of this writing 8 of the top 10 results are either negative stories or law firms trying to take advantage of the situation for their own financial gain. Had Medtronic been blogging frequently, and optimizing the articles properly, it could have controlled the conversation better. Medtronic's diabetes division clearly gets it. The Loop is Medtronic's blog all about diabetes management. They have created an online patient community with a breadth of fantastic content for diabetes patients. "The focus of our discussion here is living with diabetes, managing it with technology and, one day, “Closing the Loop” with an artificial pancreas." That's great marketing and an even better example of a blog by a medical device company.